Welcome to 2019! Today we will deviate from our normal sports related speakers to welcome Justin Brooks from the California Innocence Project. Brooks is a criminal defense attorney, known internationally for his work in exonerating wrongfully convicted people and training judges, prosecutors and defense attorneys, according to “Wikipedia”. He is a co-founder and currently serves as director of the California Innocence Project, which has freed a number of high-profile innocent clients, including former NFL football player Brian Banks. This organization is a founding member of the Innocence Network, an affiliation of organizations dedicated to providing pro bono legal and investigative services to wrongfully convicted people. Profits from the September golf tournament were $2906. This money will be used for end-of-the-year scholarships for current Cougar student/athletes. 1963 graduate, Dave Ostrander, passed away suddenly in Yucca Valley on December 31st. Ostrander was member of the 1962 Championship Football team. A memorial Mass to celebrate his life will be held Saturday, January 26th, at 10:30 am at Our Lady of Mount Carmel church in Newport Beach. Any inquiries, contact Paul Thoreson at 858-673-7392 or paul@valhallatechsales.com. Janis Greenough contacted us to let us know of the passing of former Cougar, Bob Shaw, class of 1960, on January 2nd. Bob was a 3 sport athlete for the Cougars(football, basketball, and baseball). Congratulations to Orange Glen High School’s football team and Coach Jason Patterson for their outstanding season culminating in their loss in the CIF State championship game in San Francisco. Your Cougar Athletic Alumni Board of Directors voted to donate $500 to help defray the cost of travel, housing, and food for the players and coaches. This Patriot team represented our city in an outstanding manner. 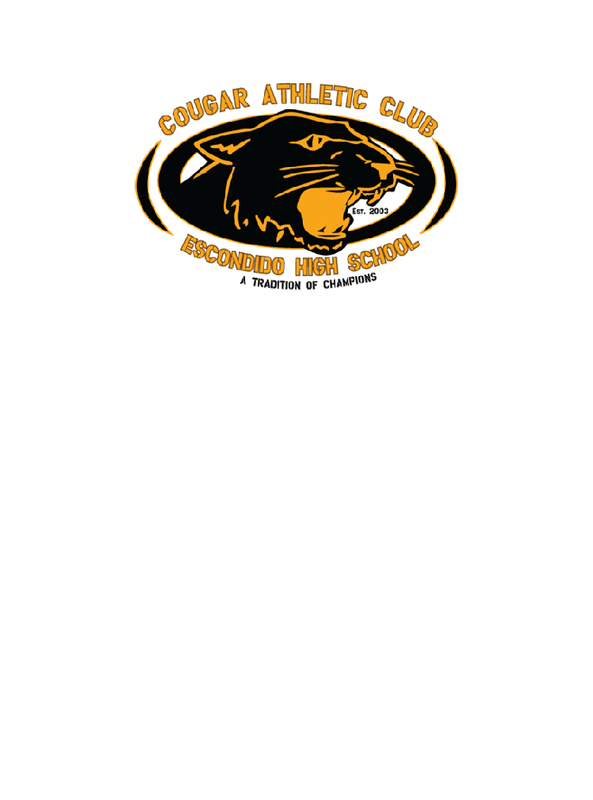 Cougar Athletic Director, Steve Bridges, is formulating a design for the Cougar gym foyer to digitally display the members of the Escondido High School Hall of Fame inductees. The Board voted to award $500 for the design costs and a portion of the construction of the new display. A huge thank you to our Bob Wilson, who passionately awarded $1000 checks to every person who attended or worked at Paradise High School, as a result of the fire that destroyed most buildings in the entire city of Paradise, California. Bob, you make everyone proud to say you are an Escondido Cougar; Loyal, Strong, and True! Calendar for the spring, summer and fall meetings are as follows: April 13, July 13, October 12.